Kai Wasikowski was awarded the Dr Harold Schenberg Art Prize in 2017. Kai Wasikowski is a multidisciplinary artist living and working in Sydney, Australia. Utilising photography, readymade materials and multimedia, Kai's practice considers what it means to be ecologically aware. Kai completed a Bachelor of Visual Arts (First Class Honours with University Medal) at the Sydney College of the Arts in 2016 and was awarded the Deans Award for Honours and the 2016 Artereal Gallery Mentoring Award. His work was recently shown in ‘Hatched: National Graduate Show’ at the Perth Institute of Contemporary Arts where he was awarded the 2017 Schenberg Art Fellowship. Kai is currently working towards a solo exhibition this November at Artereal Gallery, Sydney. 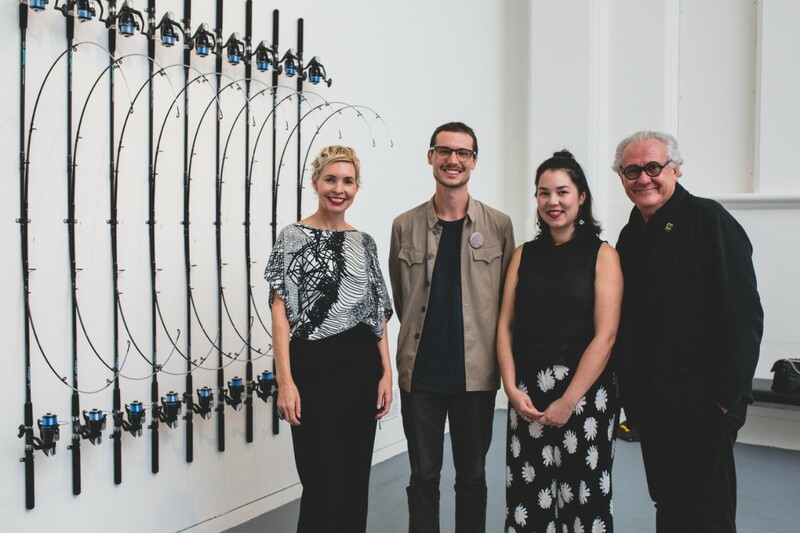 Kai Wasikowski standing beside his work In-tension (2016) at PICA alongside the Schenberg Fellowship judges: (L-R) Amy Barrett-Lennard, Mikala Tai and Professor Ted Snell. Photo courtesy of OK Media Group. "Becoming a Schenberg Fellow provides an incredible opportunity to expand and deepen the scope of my artistic practice and research. I feel so thrilled by the possibilities of travel, the time to explore new environments and histories, and the ability to build and strengthen relationships within creative spaces both familiar and unfamiliar. The generous and momentous support of the Fellowship is a real privilege and a huge encouragement to push past my own expectations and capabilities as an artist and a member of the local and international art community." My practice considers what it means to be ecologically aware. 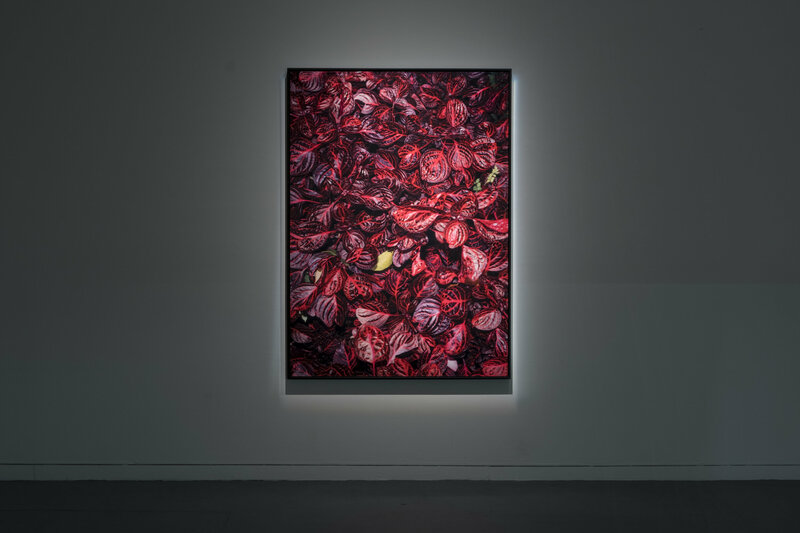 Utilising photography, readymade materials and multimedia, my work draws together aesthetic signifiers of technology and nature to explore the increasing intimacy of these binary terms and the emotional environments their meshing creates. In-tension presents a linear pattern of fishing rods drawn inwards to each other by interlocked fishing line, strung in a state of constant tension. The repetition and restrained energy of the work contemplates a reluctance in the shift from modernism to postmodernism (from my conditioning as a child to my experience of the present), by reframing an object previously known for its use-value to an aesthetic device with innumerable meanings and connotations; hunting, industry, recreation, violence, globalisation, global warming, animal rights, biodiversity etc. In-tension thus strives to be both aesthetically pleasing in form and aggressively complex in meaning, exploring the tight and seemingly structured grip that modernity holds on contemporary life. Looking with a forked tongue is a lenticular photograph of garden foliage with a 3D optical effect of undulation. With saturated hues and the illusion of depth and movement, Looking with a forked tongue presents a simulation of a pristine and fertile world unperturbed by human touch. In doing so it explores personal feelings of isolation from ‘nature’ as an ideology of an organic and pristine place. It is nature doing its best impersonation of nature, somewhere in-between an organic past and a manufactured future. Installation view of Looking with a forked tongue for HATCHED. Photo by Alessandro Bianchetti.